Create some fun memories and photos too with this Pastel Perfection Photo Booth Prop pack designed just for weddings. Guests will have a great time posing with these novelty wedding props and your Photo Booth will be a big hit all night long. 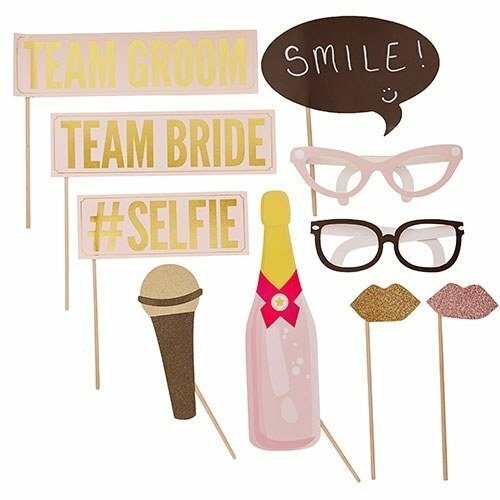 Includes: Team Bride, Team Groom, Selfie, shimmer microphone, 2 x glitter lips, champagne bottle, 2 x glasses and a chalk board sign for writing a personal message.